(A) understand the effect of the sun on Earth's atmosphere and climate. (B) detect the presence of dark matter within sunspots. (C) shield Earth from global warming from the sun. (D) determine how much longer the sun will live, before becoming a red giant. (E) observe the effect of high energy particle beams directed onto solar flares. (A) look for remnants of the failed Russian Mars probe Phobos 2. (B) slingshot itself over to Deimos, the smallest moon of Mars. (C) look for ice hidden in shadowed craters on its polar caps. (D) map Phobos' gravity field, and deduce its internal structure. (E) detect the presence of organic molecules. 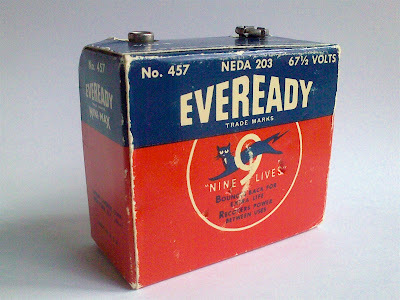 Eveready(TM) "B" type battery, 67.5 volts. 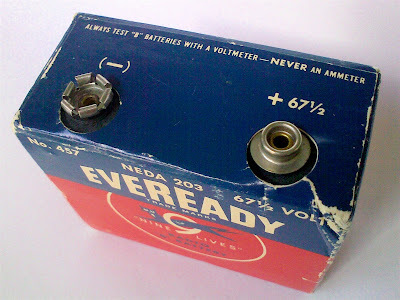 "Always test 'B' batteries with a voltmeter—NEVER an ammeter." Photo by Cuesta College Physical Sciences Division instructor Dr. Patrick M. Len. __________ made observations that were used as evidence that Earth could not be center of motion in the universe. Two converging lenses, with focal lengths of +90 cm and +1.5 cm, are to be used to make a telescope. The _________ lens and the _________ lens should be used as the objective and the eyepiece, respectively, in order to make a telescope with the greatest amount of magnification. (A) f = +1.5 cm; f = +90 cm. (B) f = +90 cm; f = +1.5 cm. such to obtain the greatest possible angular magnfication, the objective should be the longer focal length lens, and eyepiece should be shorter focal length lens. A Physics 205B student would like to use a lens from +5.0 D reading glasses as a simple magnifier. What is the angular magnification of this lens as used by a relaxed eye? or +1.3, to two significant figures. Response (A) is f/N = 1/(P·N); response (C) is the refractive power P; and response (D) is P/N = 1/(f·N). What has NASA planned for the Cassini space probe in orbit around Saturn? (A) Moving it to rendevous with Pluto in 2012. (B) Extending its operation through 2017. (C) Crashing into Saturn's atmosphere to gather data on its composition. (D) Parking it in Saturn's rings until its operating budget can be restored. (E) Sending it out of the solar system after one last pass near Saturn. (A) rich with organic compounds. (B) from the trailing, unstable edge of the asteroid belt. (C) on a collision course with Earth in late 2012. (D) an icy asteroid that has begun to absorb too much sunlight. (E) the result of a head-on collision between two asteroids. (A) has undergone rapid color changes on its surface. (B) is much too small to reconsidered as a planet. (C) has melted its polar ice caps. (D) experienced a total solar eclipse from one of its moons, Charon. (E) is spinning much faster than previously measured. Instructor: "Use lots of scotch tape. Scotch tape is the duct tape of astronomy." Why are Mercury and Venus never visible in the San Luis Obispo, CA sky at midnight? (A) Mercury and Venus never exhibit retrograde motion. (B) Mercury and Venus are too small to reflect enough sunlight. (C) The orbits of Mercury and Venus are smaller than the orbit of Earth. (D) Mercury and Venus cannot exhibit gibbous phases. Since the orbits of Mercury and Venus are smaller than the orbit of Earth (making them inferior planets), they can never appear behind Earth, with respect to the sun, and thus cannot be overhead (or anywhere in the sky) at midnight for typical temperate latitudes such as for San Luis Obispo, CA. Astronomy quiz question: inferior planets at midnight, Fall Semester 2008. Astronomy midterm question: midnight Venus?, Fall Semester 2009. What would be seen by an observer on the side of Earth facing the moon, during a partial lunar eclipse? (A) The entire sun blocked by a new moon. (B) Part of the sun will be blocked by a new moon. (C) A new moon that will not be big enough to entirely block the sun when it passes in front of it. (D) A full moon that will appear a very, very dark brown-red. (E) A dark shadow across part of a full moon. (F) A full moon that will appear to be slightly dimmer than usual. During a partial lunar eclipse, an observer on Earth will see the full moon partly in Earth's umbra and penumbra, where the umbra portion will be dark, while the penumbra portion will not be noticeably dimmer. Correct answer: 400 nm, 600 nm. Light in air reflects off of the top of the oil film with a 180 degree phase shift ("fast off of slow"). Light in oil reflects off the top of the water with no phase shift ("slow off of fast"). The two reflections are out of phase. as wavelengths are shorter in slower media, compared to the longest in air (or vacuum). with m = 0, 1, 2, 3, 4, ..., possible wavelengths in air that would destructively interfere would be infinite, 1200 nm, 600 nm, 400 nm, 300 nm, ..., respectively, of which only 400 nm and 600 nm are in the visible range in air. 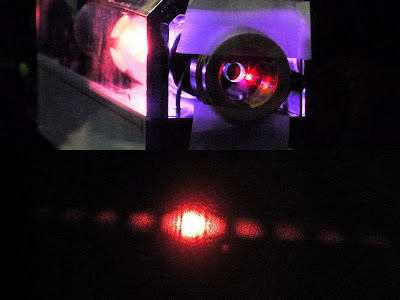 Laser illuminating a tape-mounted human hair, with the resulting diffraction pattern projected on a distant screen. Photo by Cuesta College Physical Sciences Division instructor Dr. Patrick M. Len. 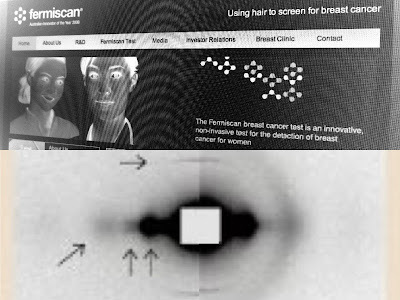 Dramatization of "Fermiscan®" x-ray diffraction of human hairs, being developed as a diagnosis tool for screening for breast cancer. All rights reserved by original copyright holders. Photo-montage by Cuesta College Physical Sciences Division instructor Dr. Patrick M. Len. Increasing, then decreasing the spacing d between two slits illuminated by a laser beam, resulting in decreasing, then increasing the angular spacing between maxima and minima fringes on a distant screen. Video by Cuesta College Physical Sciences Division instructor Dr. Patrick M. Len. U Scorpii is a star that is starting a recurrent nova explosion. What causes this? (A) A star is feeding hydrogen onto the outer layers of a white dwarf. (B) The core of a massive star has finally exhausted its hydrogen supply. (C) The eruption of magnetic fields surrounding an unstable supergiant. (D) Too much iron in the core of a supergiant. (E) Bipolar jets from a companion neutron star. (B) it was buried by layers of dry ice. (C) of a software failure. (D) its radio dish is stuck pointing in one direction only. (E) it was quietly listening for signs of intelligent life. (A) become buried by shifting sands caused by winter windstorms. (B) sink further into quicksand-like material. (C) keep transmitting its location, so Mars' rotation can be tracked. (D) drill further into a nearby rock to investigate its core. (E) wait until the Mars Opportunity rover arrives to give it a nudge. Earth's __________ causes the discrepancy between astrological sun-sign dates and the dates when the sun is actually in front of certain zodiac constellations. theta_i = Arcsin(n_t*sin(theta_t)/n_i) = 41.7 degrees. Response (A) is Arcsin(sin(theta_t)/n_t); response (B) is Arcsin(sin(90 degrees - theta_t)/n_t); response (D) is Arcsin(n_i/n_t), which is the critical angle for water incident on air. Unpolarized light passes through two polarizers with polarization axes turned 40° to one another. The intensity of light that passes through polarizer 1 is one-half of the original unpolarized intensity, and this light is then vertically polarized (the convention followed in this class is to depict transmission axes of polarizers). or to two significant figures, 0.29 of the original unpolarized intensity. Light has a wavelength of 600 nm as it travels through air. What is the frequency of this light? The dependent parameter lambda = v/f, where the independent parameters v and f correspond to the speed the frequency, respectively. Thus f = v/lambda = (3.00e8 m/s)/(600e-9 m) = 5.0e14 s^-1, or Hz. (The speed of light in vacuum was provided, as well as the index of refraction for air n_air = 1.000.) Response (A) is lambda/v, response (B) is c*lambda, and response (C) is 1/lambda. (A) moves clockwise around Polaris, and never sets below the horizon. (B) moves counterclockwise around Polaris, and never sets below the horizon. (C) moves clockwise around Polaris, and sets below the horizon. (D) moves counterclockwise around Polaris, and sets below the horizon. Using a starwheel for 40° northern latitudes (San Luis Obispo, CA is 35° N latitude) shows Cepheus is a circumpolar constellation, never setting below the horizon, and makes counterclockwise circles around the north celestial pole (near Polaris). Using a starwheel for 40° northern latitudes (San Luis Obispo, CA is 35° N latitude) shows Camelopardalis is a circumpolar constellation, never setting below the horizon, and makes counterclockwise circles around the north celestial pole (near Polaris). (A) between northeast and east. (C) between east and southeast. (D) between southwest and west. (F) between west and northwest. 10 hours between sunrise and sunset means winter solstice for San Luis Obispo, CA (or in general for any northern hemisphere location, sometime between autumnal equinoxes and vernal equinoxes), meaning that the sun must rise from south of east, and set south of west. 14 hours between sunrise and sunset means summer solstice for San Luis Obispo, CA (or in general for any northern hemisphere location, sometime between vernal equinoxes and autumnal equinoxes), meaning that the sun must rise from north of east, and set north of west. (A) appear in front of different zodiac constellations. (B) move from east to west across the sky during the day. (C) make higher or lower paths across the sky. 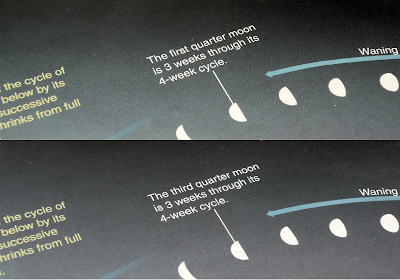 Misprint: first or third quarter moon? Comparison of misprinted and corrected versions of lunar phase cycle, Michael A. Seeds and Dana E. Backman, Perspectives in Astronomy, 1/e, Brooks/Cole, 2008, p. 25. Photo by Cuesta College Physical Sciences Division instructor Dr. Patrick M. Len. Wire cutters brought closer to enlarge its angular size, but much closer than the near point of the camera lens (focused at infinity to simulate a relaxed eye). A magnifying glass is then placed in front of the camera lens to project a virtual image of this wire cutters out at infinity, which subsequently becomes an object for the camera lens to be able to focus on. Photo by Cuesta College Physical Science instructor Dr. Patrick M. Len.